A new website for Oxford College Archives has been launched at https://oac.web.ox.ac.uk/. 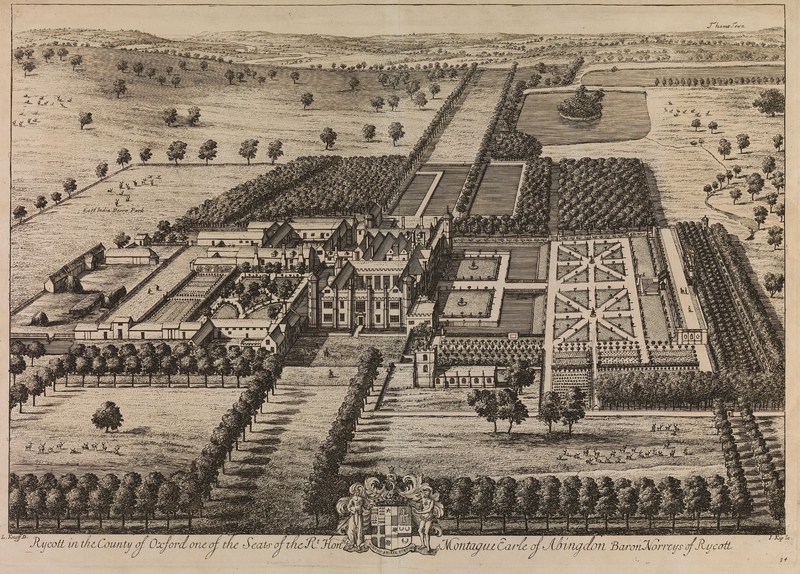 The site includes a general introduction to the archives held by the Oxford colleges, individual pages on most of the colleges (with further links to catalogues etc.) and links to associated archives in the City and University. There is also an FAQ page, a glossary of all those odd Oxford terms, and a bibliography. The site will be enhanced and updated regularly. Today sees the online publication of the first catalogue for the Bodleian’s own organisational archive – ‘Library Records’. 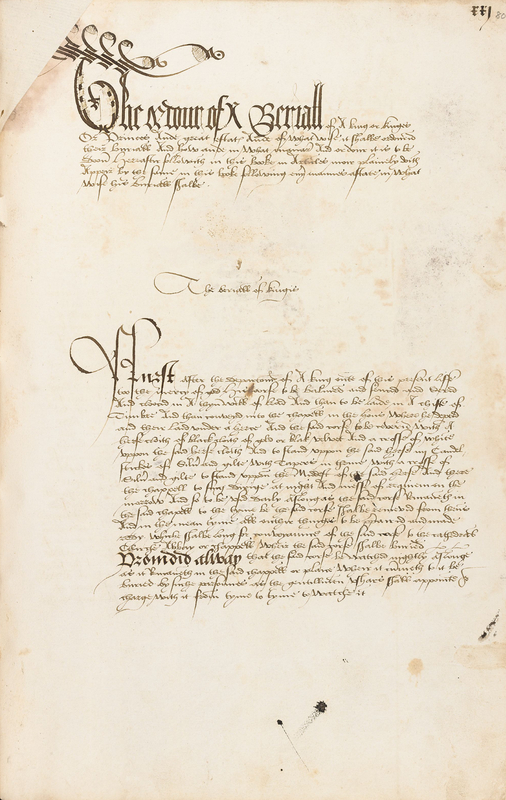 This archive is a unique and valuable resource which provides evidence of the activities of the Bodleian throughout its 400 year history. To this day, the Bodleian remains one of the foremost cultural institutions in the world and the archive is of particular interest to researchers considering the history of libraries and librarianship, scholarship and the transfer of knowledge, the study of the book, and manuscript studies. The Library Records collection includes papers concerning Library finances, the construction and repair of buildings, the acquisition and cataloguing of collections; correspondence with donors, depositors and enquirers; and records of readers’ admission and book orders. Treasures from the Library Records collection include the earliest known ‘reader’s card’ from 1613/14 and an admission register signed by Iris Murdoch and Philip Larkin, 1940. Located amongst the collection of Bodleian papers made by Bodley’s Librarian, Falconer Madan this small slip of paper gave Henry Barkley of All Souls College, Oxford permission to use the Bodleian Library. 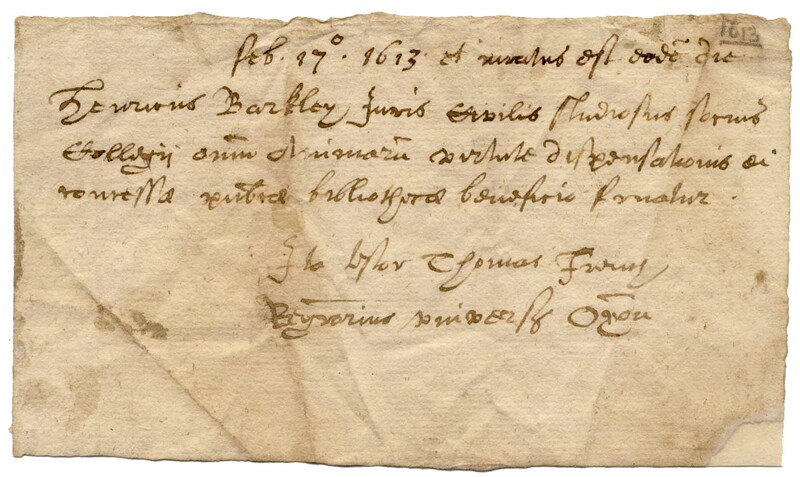 It was signed by the Registrar of the University, Thomas French, on 17 February 1613/14, and a note was added in the Library to record that Barkley was admitted as a reader the same day. 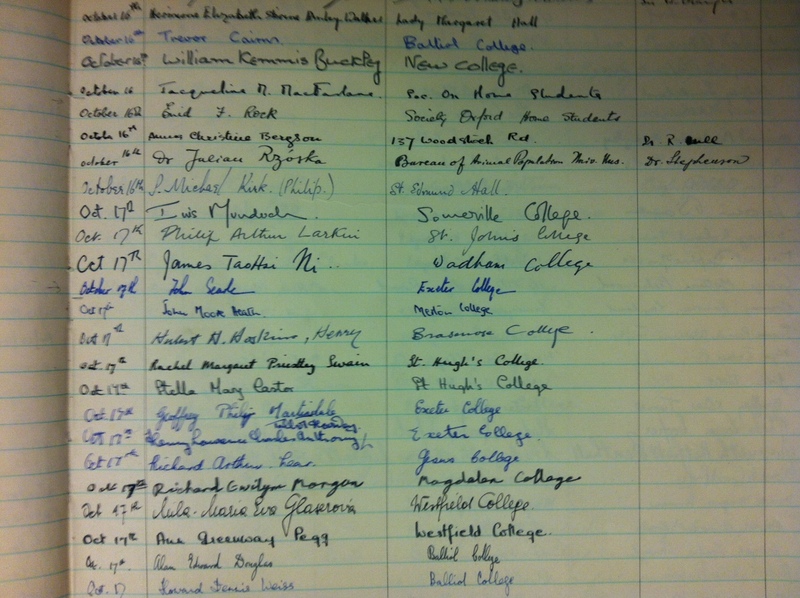 An example of a Bodleian Admissions Register signed on the 17 October 1940 by Iris Murdoch of Somerville College and Philip Arthur Larkin of St. John’s. 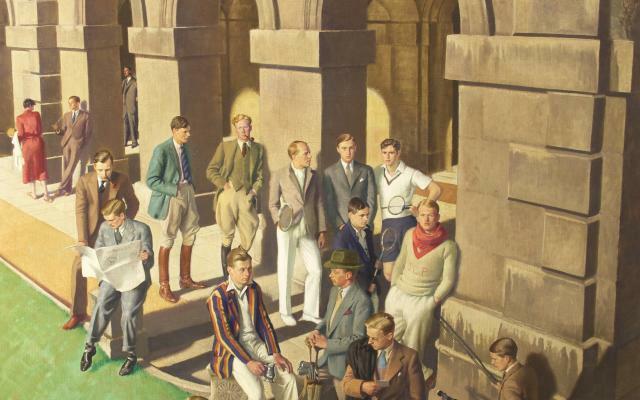 Despite the privations of the Second World War scholarship continued and the Bodleian remained open. Other records in the archive detail the Library’s contribution to the war effort and document Air Raid Precautions undertaken, accounts of collections taken on deposit from other institutions and lists of books removed for safekeeping to Avoncliff. This year, 400 years since the death of William Shakespeare, the Bodleian Libraries are taking part in Oxford’s year-long celebration Shakespeare Oxford 2016. On the 18th of March, David Crystal and his actor/director son Ben Crystal gave the second of a series of fifteen free talks on Shakespeare that will be held at the Weston Library. The lecture, ‘How To Talk Like Shakespeare’, focused on the inspirations and evidence for David’s soon to be published book, the Oxford Dictionary of Original Shakespearean Pronunciation, which is the first full description of the way that Shakespeare and his cohort actually spoke in the 16th-17th centuries. The talk featured short performances by David and Ben to demonstrate the differences between the usual modern ‘received’ pronunciation of Shakespeare’s work and the way the plays would have sounded in their original pronunciation (OP). You can see them in action for yourself in this Open University video. Rhymes that don’t work in modern English suddenly work. Original pronunciation illustrates what is meant by speaking ‘trippingly upon the tongue’ (Hamlet). Original pronunciation suggests new contrasts in speech style, such as between young and old, court and commoners, literate and illiterate. As archivists, we get to add that OP makes us consider our early manuscripts in a new light! 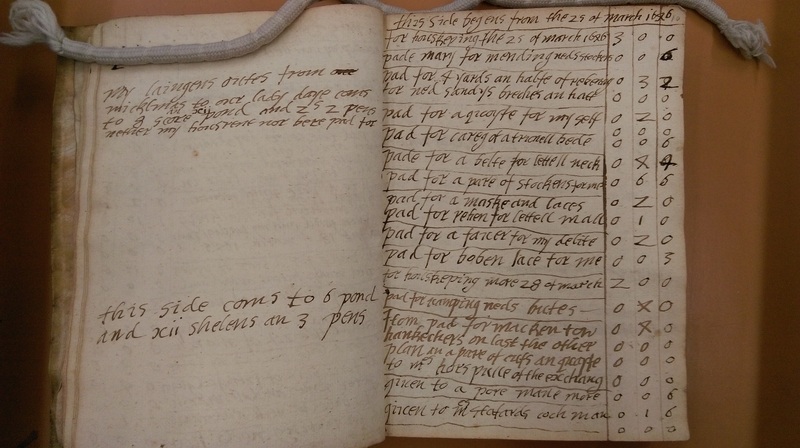 In the Q&A session after the talk, Mike Webb, the Curator of Early Modern Manuscripts here at the Weston Library, mentioned the 1645-1649 account book of Mary Gofton (described online here). Spelling wasn’t fully fixed in this period and Mary often writes phonetically. It would have been easy to overlook this or perhaps even to mark the author as badly educated, or just a poor speller, but this phonetic spelling turns out to be a fantastic gift. Reading the account book aloud and doing your best impression of OP, Mary’s voice jumps out of the text. You can see a sample of the account book below: the perfectly OP-sounding ‘Lettell Mall’ and ‘Lettell Neck’ [Nick] are her grandchildren. Another advantage is that actors who would normally fake RP don’t have to hide their native accents because OP wasn’t itself an accent, more of a dialect, and it underlay many distinctive regional accents in the early modern period. So, for example (with apologies to all linguists!) ‘temptation’ and any other word ending in ‘tion’ was pronounced something like ‘temp-tay-see-on’ in OP, whether the speaker came from Devon or London, while today it’s pronounced something like ‘temp-tay-shun’ by most English speakers, wherever you come from. And for that majority of modern English-speaking people who don’t use RP, whether they’re from the UK or other English-speaking countries, OP can sound more familiar and intelligible than RP – not surprising, as it was the foundation accent for so many English-speaking countries. If you want to hear more OP in action, there are plenty of demonstrations and transcriptions online. Why not start with Ben Crystal performing Hamlet’s ‘To Be, or not to be?’. For anyone looking to define Taijitu, Putso or Sangha, or to learn about Elizabeth Fry, the Junior wives of Krishna, or the Royal Ploughing Ceremony, one of the top internet search hits will be Wikipedia, the free encyclopedia. Articles about these, and hundreds of other topics, are now being improved using the Bodleian Libraries’ historic collections. Images from Digital.Bodleian collection are being uploaded to Commons, the database of freely reusable digital files. From here they can be embedded in articles not just in English Wikipedia, but in other languages and in other educational projects. 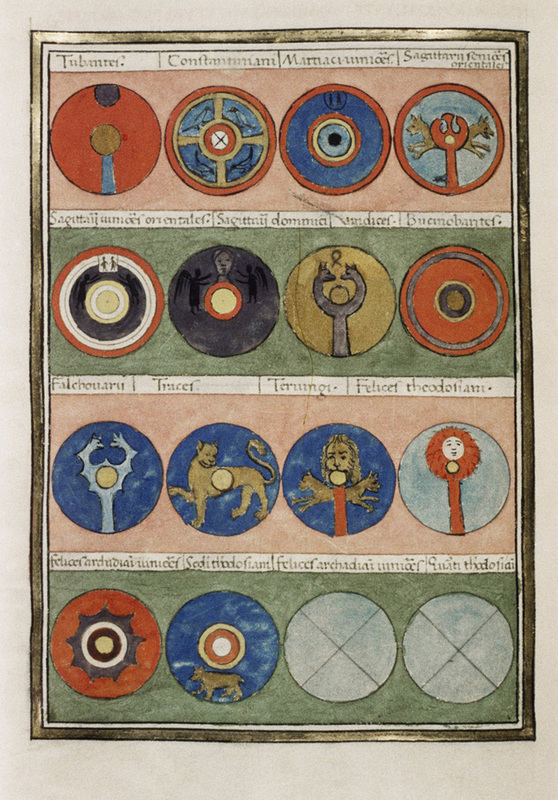 So far, more than six hundred articles, across many different languages, are illustrated with images from the Bodleian Libraries, reaching a total of nearly 1.5 million readers per month. The Bodleian images come from many different countries and eras. The themes range from the serene watercolours of 19th century Burma (present-day Myanmar), via geometrical diagrams in an 11th century Arabic book, to the nightmarish demonic visions of the 14th century Book of Wonders. A taste is given in an image gallery on Commons. Clicking on any of the images – here or in Wikipedia – and then on ‘More details’ will bring up a larger version, along with links and shelfmarks so that interested readers can track down the physical object. Anyone is allowed to edit the entries for the images, for example to translate descriptions into other languages. However, these edits are monitored to make sure they respect the educational goals of the site. This is just the start of an ongoing project: more files and more themes will be added over the next nine months. The Bodleian Libraries’ Wikimedian In Residence, Martin Poulter, welcomes enquiries – you can get in touch via the form below.